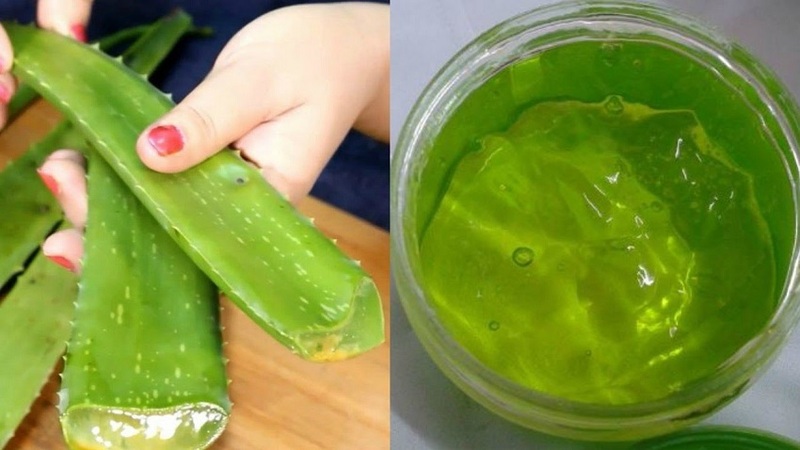 How to make homemade aloe vera gel and how to use it. 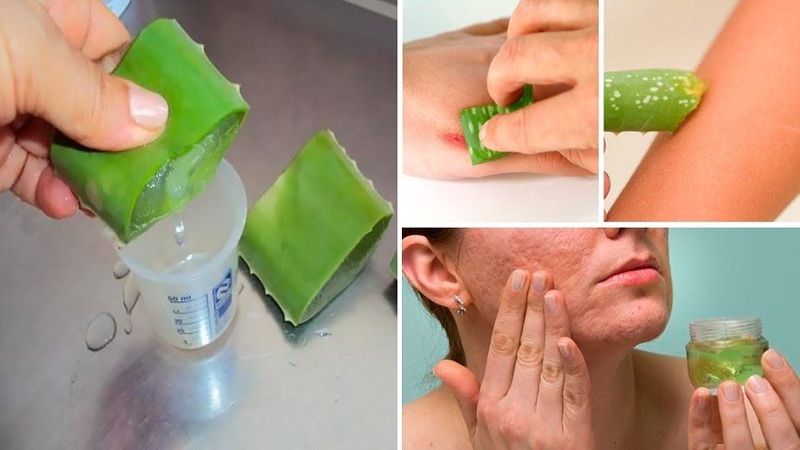 The aloe vera is one of the plants used in industry cosmetics for its benefits. It is natural healing that regenerates the skin and helps eliminate the marks of premature aging. 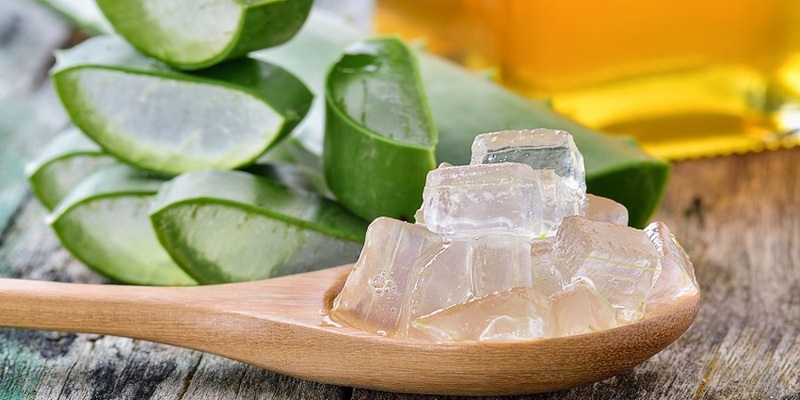 Aloe vera also treats sunburn and refreshes the skin naturally. 1. The first thing you have to do is get an aloe vera plant. Before removing the leaves, make sure the plant is well maintained and in good condition. To do this, water once a day. 2. 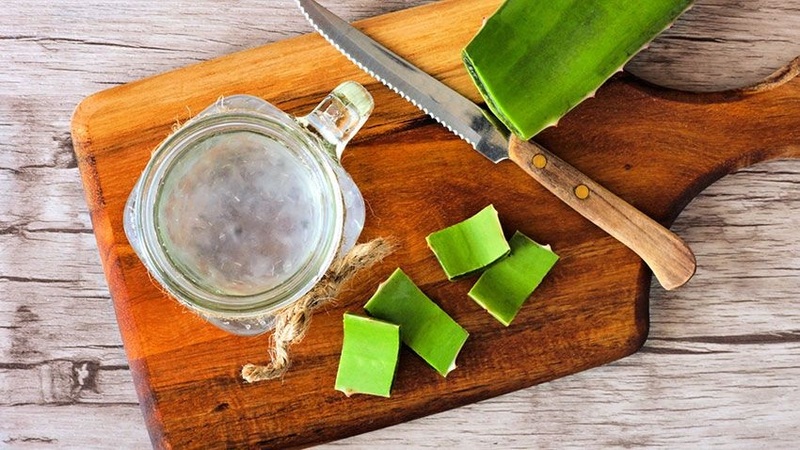 Cut the three leaves of aloe vera. 3. Carefully remove the side spines from the leaves. 4. Soak them for 24 hours . Every 4 hours, approximately, the water changes. It is not necessary to be exact if you can not do it every 4 hours, do it when you have a moment for it. Having them in water serves to eliminate aloin with toxic properties of the plant. 5. Once 24 hours have passed, remove the leaves from the water. 6. Open the leaves by the edges with the help of a knife. 7. Once opened, use a spoon to extract the gel or pulp from the plant. Reserve in a container. 8. Add lemon juice and wheat germ to the gel. 9. Mix well until you get a thick white cream. 10. Finally, introduce the mixture in a glass jar with an airtight seal and keep in the refrigerator. -Cleans moisturizes and regenerates the skin. -Prevents and treats acne, blackheads, and pimples. -It helps to eliminate stains and scars from the skin. -Its healing and anti-bacterial properties also help to heal wounds, as well as prevent them from becoming infected. -Treats sunburn and soothes the skin after sun exposure. -Prevents and eliminates stretch marks. -Tones and reaffirms the skin of the body and face. -Treats the dryness of the skin. -It is very useful to relieve the symptoms of skin diseases such as seborrheic dermatitis and psoriasis. For all this, it is a very useful, natural and durable product. It is only necessary to take a small amount of product and massage the skin with circular movements on the affected area.